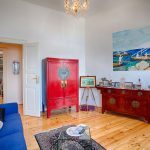 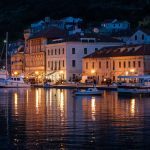 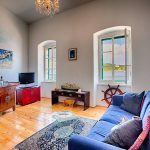 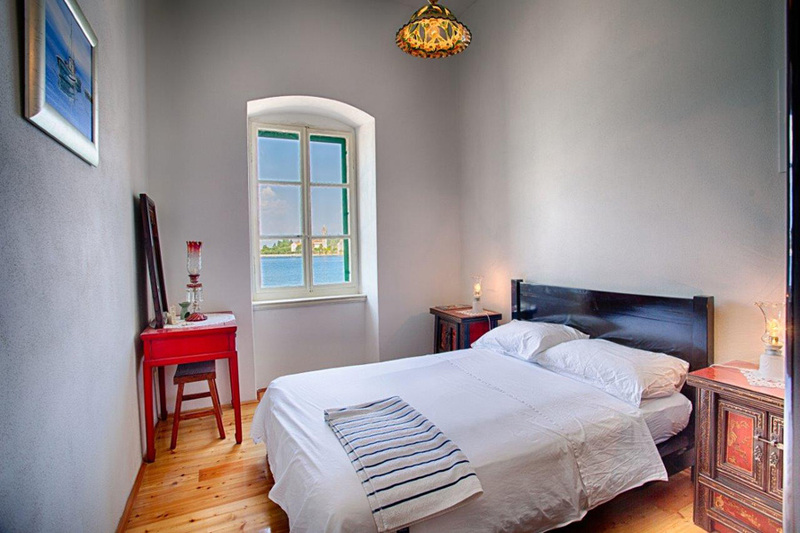 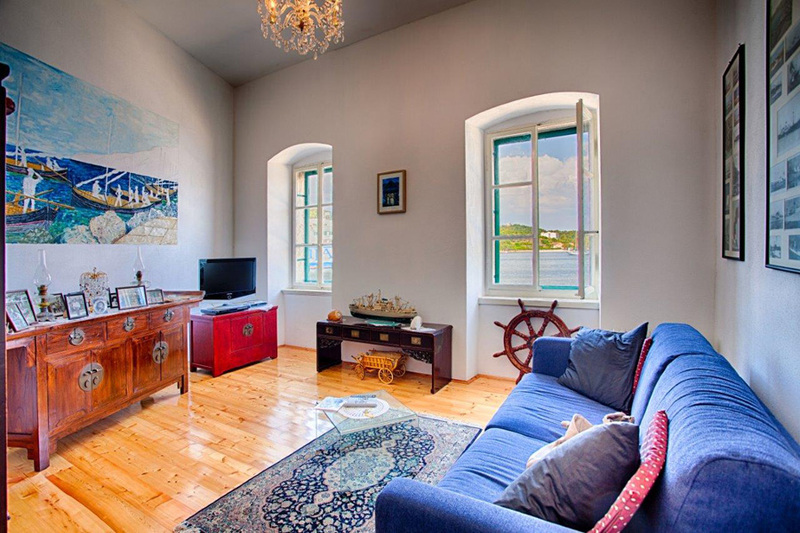 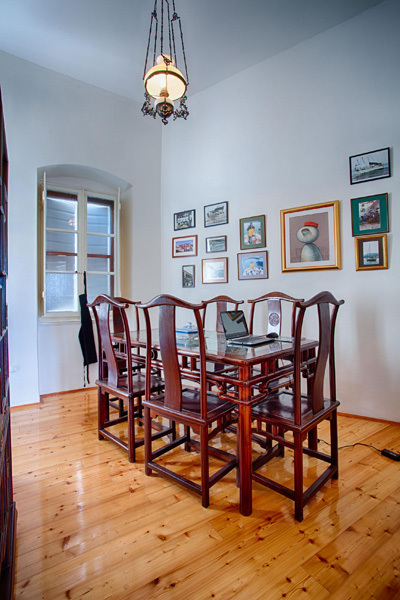 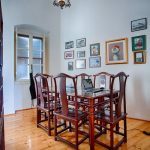 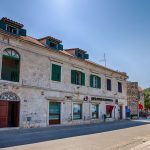 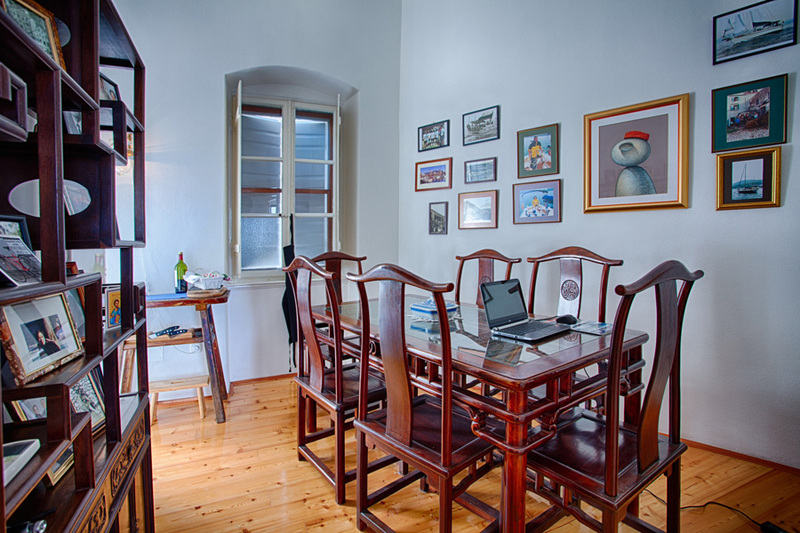 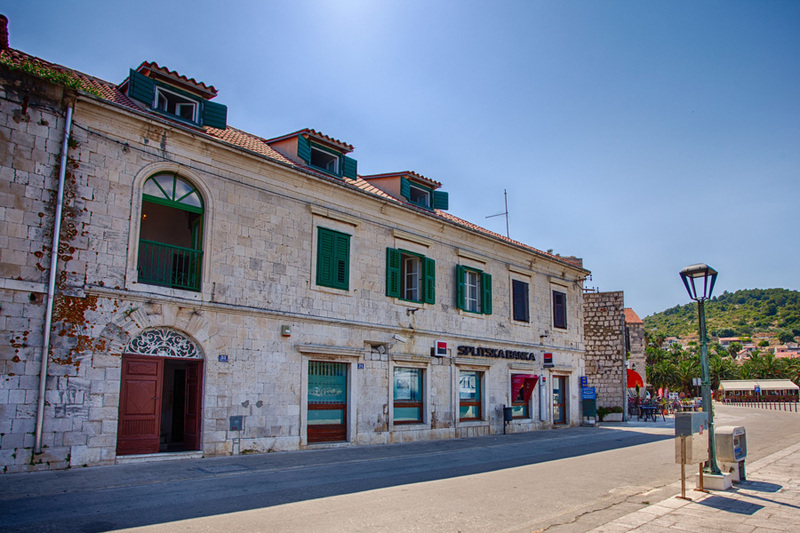 The apartment is located at the absolute waterfront in a heritage listed 19th century former Austro-Hungarian port administration building in the heart of Vis town. 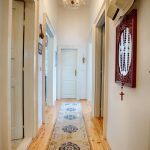 It is carefully decorated in authentic oriental and period furnishings and light fittings, taking great care in retaining all its original interior woodwork and windows. 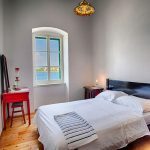 The apartment is ideally suited for a couple who are looking for a warm, exciting, and relaxing home-away-from-home; being on the bustling waterfront, close to cafes and restaurants, ferry terminal, town life, and the city beach. 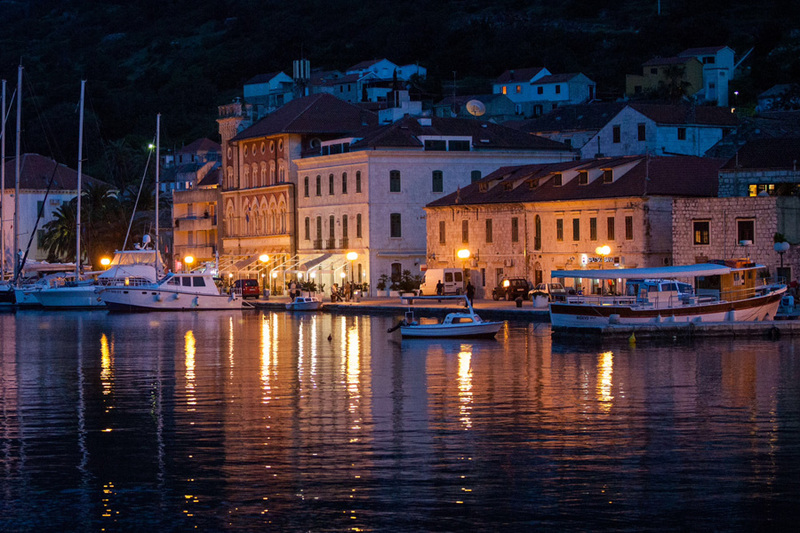 Yes the waterfront does get exciting, interesting, busy and not too loud, but hey, it is the waterfront; Vis’ centre. 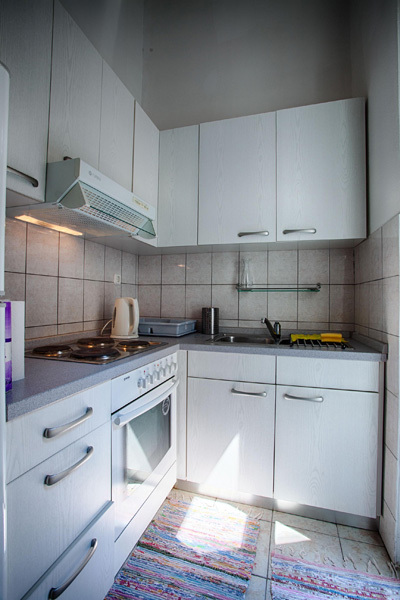 The apartment is 65m2. 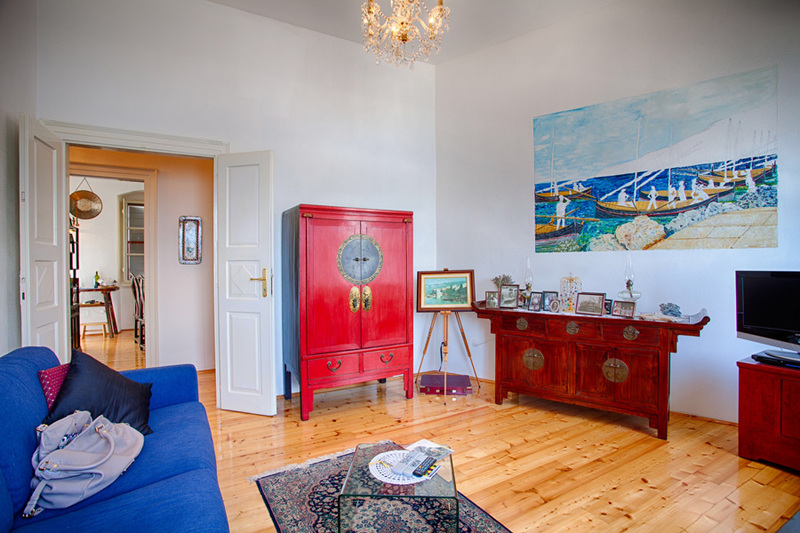 The living room offers a very comfortable sofa for extra two persons, with a Murano chandelier, baroque wall mirror, and a flat screen TV. 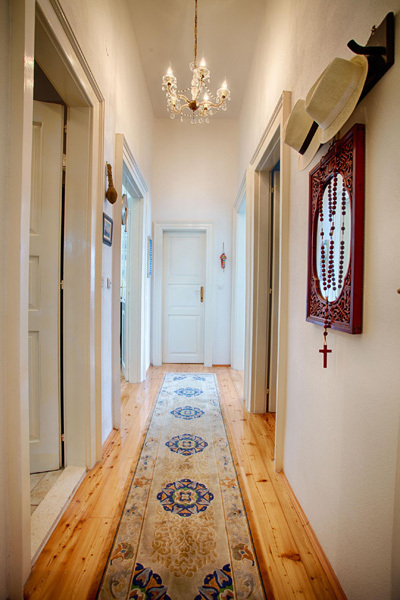 There is a fully equipped kitchen and a grand oriental-style dining area. 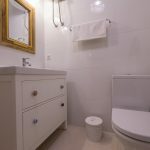 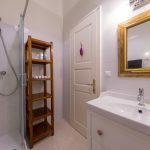 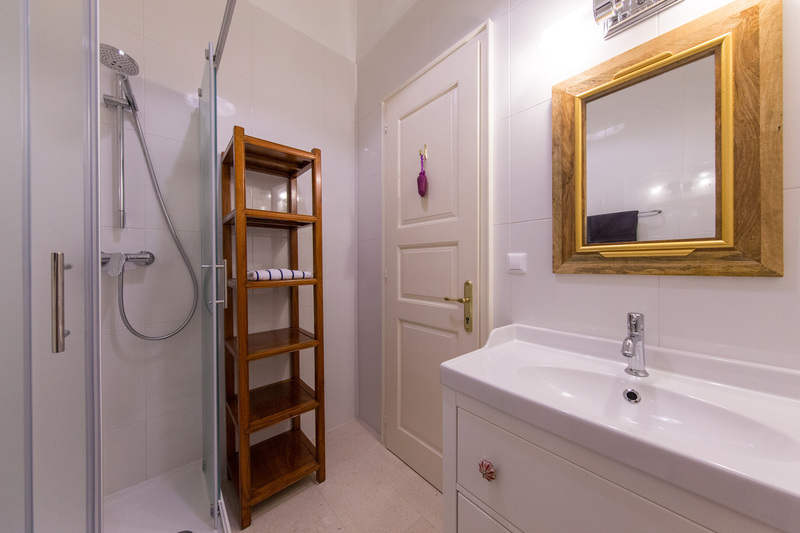 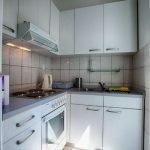 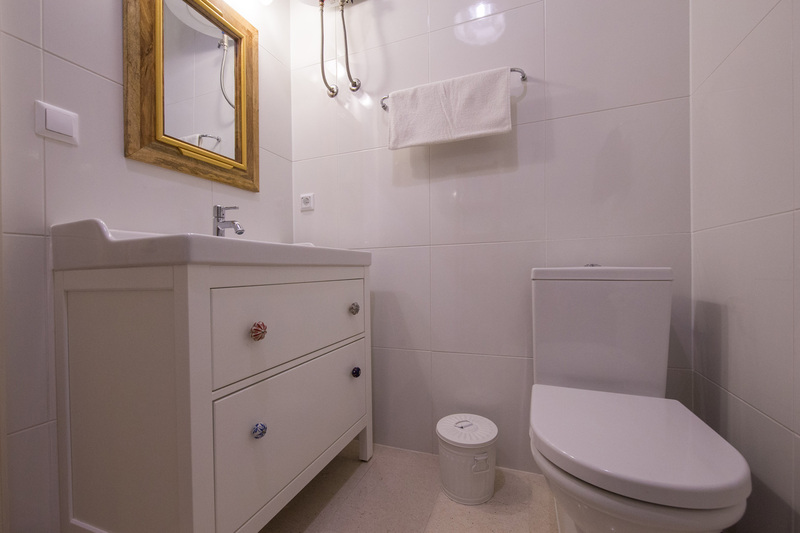 The bathroom is fitted with all the amenities, and there is a separate laundry room with a washing machine at the end of the stair case to the apartment.